Bernard Marr is a prolific author with 15 bestselling books under his belt. His publishers are able to customise his books for clients which would allow you to have your company logo on the book cover, some text about your company on the back cover and even customised content like a foreword or specific case studies within the book. A customised book can make a great customer or employee giveaway, that will not only help to associate you with the ideas in the book but remain a lasting brand reminder on their desk or book shelf. 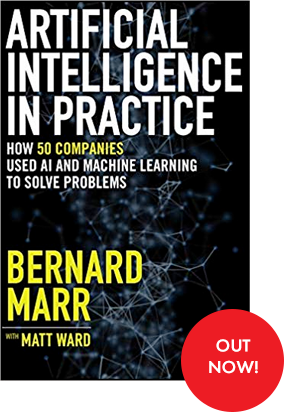 Companies and government organisations have purchased special editions of Bernard Marr’s books and he has created completely customised versions of books for Oracle and Rocket Software.